Sometimes I look at my dolls and wonder why I spent so much money on them. I’m sure I’m not the only one. I think about all the other things I could have gotten with that money. I could have paid for most of one term’s worth of tuition. I could have bought a lot of books or a new laptop (!) or a new digital camera. I could have bought new clothes (for me!) or shoes or pretty dresses (wait a moment, I buy dresses anyways…). But then I think about all the things that Blythe has drawn me towards. It drew me more into uploading and participating on Flickr. It drew me more into sewing (I did knit and crochet before, but now I do it on a smaller scale). 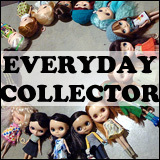 It drew me more into the Blythe forums (I was a member prior to owning a Blythe, but I certainly wouldn’t have been so actively participating if I didn’t own one… or seven.). And Blythe drew me to create this blog (yay!). So while I could have bought a whole bunch of other things (and, to be truthful, I still spend money on tuition, the occasional new book, clothes [not that often] and pretty dresses [possibly too often]), I don’t think most of those things would have done as much for me as Blythe has. After all, if it weren’t for Blythe, I wouldn’t have made so many friends online (or tweet so much!) and it’s definitely been worth it, making friends with people and being active in a community like the Blythe community. What has Blythe done for you? 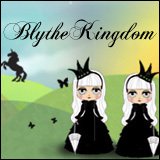 Blythe On A Budget: Save money elsewhere, spend it on Blythe! You know I couldn’t agree with you more on all your sentiments. I too sometimes think that the price of Blythe’s is scandalous, and tell myself I shouldn’t buy any more. But then I remember how hard I work at my real job (urban school teacher), and know that the sewing, knitting, photographing, painting etc that I do for my dolls is my relaxation, my hobby, my zen time. I’ve met wonderful people who inspire me. In life we all work so hard in so many different endeavors, so why not reward ourselves with a creative outlet that this Blything hobby affords us. Sometimes I wonder why I am willing to buy a Blythe but not something I could use, or why I am willing to spend $20 on a super-cute dress for one of my girls but not on a dress for myself. The conclusion I’ve come to is that I just don’t get as much pleasure out of anything else as I do out of Blythe. A new Blythe dress will probably make me happier than a dress for myself! 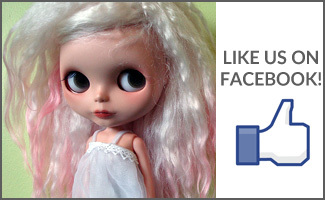 Blythe’s ushered in a new era for me of happiness and creative expression and productivity. I think it’s important to allow yourself to follow the path to happiness, even if it seems ridiculous. After all, you only live once, and enjoying your life — rewarding yourself, making connections with kindred spirits, surrounding yourself with what you love — is priceless.